I always look forward to Jonathan Training. It is two very intensive weeks for both trainers and participants, and follows weeks and months of preparation and planning but it is worth it every time. Spending the time with people who are catching a big vision and trying to figure out how to implement it in their situation spurs me on to greater heights. This January we worked hard at steering away from lecture style teaching and the result was an even greater proportion of participants taking the radical steps to change their whole approach to church planting rather than just adding a few new strategies. 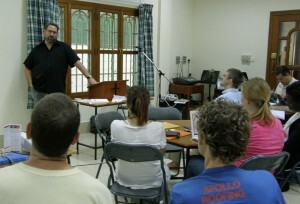 Neil Cole, of Church Multiplication Associates, was our guest presenter for the last couple of days. Although Neil is based in the USA, his experience of growing many networks of house churches based on disciples making disciples meant he had much to contribute to us in Cambodia. 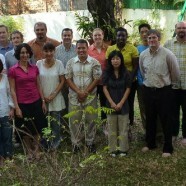 We had a great group of 20 missionaries working in Cambodia with 6 different mission agencies and from 9 different sending countries. I have high hopes of seeing some rapid multiplication in a number of areas of Cambodia in a few years time, particularly in Preah Vihear province.